While the oil and gas comes from within our economic zone we will have to pay full commercial rates to have any of it ourselves. If the industry is as successful as Taranaki, around 800 new jobs will be created. There is potential for millions in revenue for our Government and the jobs will go a little way to address the 3500 that have already been cut from the state sector and 40,000 lost from manufacturing. If there are no accidents the drilling will provide some steady income but nothing compared to what we earn from other sectors. Taranaki gas accounts for .5% of our GDP. We will obviously not benefit from any oil and gas discoveries like Norway has. The worst case scenario would be a Gulf of Mexico accident, which was also an exploratory drill (they tend to be the most risky). Shell will be drilling in 1300 metres of water which is around 1200 metres deeper than Taranaki, and the risks grow as the depth of water increases. Using Anadarko's own worst case scenarios (which were worse than anything predicted by Greenpeace) any major spill will take well over a month to fully react to. We do not have the equipment or capacity to manage a major spill in New Zealand immediately, a capping stack would take over a month to arrive and a relief rig could take up to 100 days. Maritime New Zealand has the majority of the responsibility in dealing with any spill and while the small Rena spill cost us around $50 million, we are looking at billions with any major oil rig disaster. Shell are predicting that they will strike gas, but this is just an educated guess and oil is still possible. While the odds of a major accident may be very low for many, even a minor accident could have serious environmental and economic consequences if we are not able to respond quickly. While there is a lot of trust in Shell as a responsible company and their PR was slick and reassuring we don't have to look far to have evidence that would give cause for greater caution and their recent record is hardly pure. While the Government is throwing all their efforts into welcoming oil companies to help themselves to our resources (involving risks that shouldn't be ignored) we do have other resources that have potential. Southland has extremely pure silica that is easily recoverable and we could be smelting it ourselves and producing our own solar panels for the growing alternative energy market. We ahve a number of problems in Taranaki and some of the figures don't stack up. Our median wage is below the average despite oil and the employment figures are not accurate as they are often made up of overseas workers whose pay goes offshore. Infrastructure is expensive for ratepayers and with the exploration now onshore we have communities affected with trucks, flares and pollutants. Rural roads (again paid for by ratepayers) simply cannot cope with 80 trucks a day causing slips and hazardous conditions. We have had farms unable to get tankers through to collect milk (once a day) which is all the roads were ever built for. Fracking has begun and is causing huge problems and protest. The latest well called "heatseeker" is 200m from the National Park on Mt Taranaki and could well go under the volcanic mountain. Fracking waste is toxic and unable to be removed, fracking causes earthquakes. Much of this development from offshore to onshore was done by stealth over 20 years and is non notified here with consents simply having to be filed with Council. Both Local and Regional Council have not done a good job of managing and mitigating these effects or this industry here. I agree the sea depth is not worth the risk for the minimal return and warn that Council needs to be vigilant on behalf of the area if it proceeds. The spill response alone makes it untenable and I was interested to hear about the silica...great news. I hope you can stop it. Oh and drilling waste is disposed of by "land farming" which is a highly undesirable practice in food producing areas. Thanks for your information Kathleen, it is great to hear the other side of the positive spin that we get about the drilling in Taranaki. Like most things that this Government does, the benefits are not broadly experienced and they rarely factor in the external costs. Good post, genuine and reasonable concerns expressed well - in contrast to too much over the top and ill-informed rhetoric (from both sides). Shell have said there's <1% chance of an oil, find, and about 30% chance of finding gas which is obviously their target. Not without significant risks, but far less than some claim. Kathleen, I suspect you are being disingenuous with your information. - 'Offshore workers' pay NZ tax. - Industries, including the oil and gas industry, are also ratepayers. They are paying their way. - Fracking does not and cannot 'cause' earthquakes. BS - you want to challenge the Chinese to be the cheapest producer of solar cells? When solar panel producers around the globe are going bust?- Really? 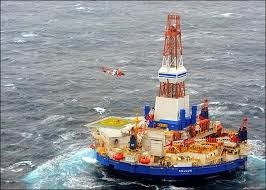 I'm very happy that Shell are the company doing the drilling. They have a good record and also stump up when required. here in Auckland when it came time to clean up following decades of storage at silo park Shell didn't hesitate. Thanks, Pete, however it is difficult to say what a reasonable risk would be. From existing data on current rates of accidents involving concerning spills we are looking at around one spill for every 35 wells at the depths that Shell will be drilling. At 1300 metres they are quite close to 1500 metres where the odds become 1 in 19. These statistics cover areas where the emergency response may be quite quick and since that is not possible here, one small spill may lead to a substantial environmental catastrophe. "you want to challenge the Chinese to be the cheapest producer of solar cells? When solar panel producers around the globe are going bust?- Really?" I have been told there is a market for high quality product and the Chinese do not yet have a consistent record for quality. There would be an economic advantage to making them with our own smelted silica and would be a much better bet than the $30 million mothballed lignite briquetting plant we have been lumbered with down here. You obviously didn't look at my links regarding Shell's embarrassing Arctic fiasco or their reluctance to compensate those living in the Niger Delta who have had their lives destroyed by a Shell pipe leak. Some Dunedin business owners will be thrilled. Hilary Calvert, for example. Her buildings will be swarming with oil-men, ashore for the week. It'll be just like it was in Dunedin's hey-days! You obviously only follow the propaganda and the facts of the situation don't actually worry you. For example the Niger Delta is not really a Shell issue, more to do with the locals. But don't let the facts get in the way of your story. As for my views on AGW or whatever you want to call it now. We'll see how that all pans out then. You've lost the cause. The public have seen through the scam and moved on. The politicians are following and you're about to be left in your own echo chamber. Hopefully that means we can start getting some real accurate science out there. Seems that the pro drilling fraternity are happy to be free and unrestrained by facts. For example, it is not uncommon for oil men to be paid into an overseas bank account, thus avoiding tax, as no income shows up. Secondly, fracking most definitely causes earthquakes. Yet another study has linked fracking and similar oil and gas mining practices to earthquakes, this time in Texas. The new study was conducted by researchers from China University of Geosciences and the University of Texas at Austin and published in the Proceedings of the National Academy of Sciences. The researchers analyzed 93 separate earthquakes that took place in Texas between March 2009 and December 2010. They found that many of the earthquakes occurred shortly after oil and gas companies had injected carbon dioxide into their wells. "The timing of gas injection suggests it may have contributed to triggering the recent seismic activity," the researchers wrote. "If so, this represents an instance where gas injection has triggered earthquakes having magnitudes 3 and larger." The oil problems in Niger are not the inhabitants of the region's problem. The company involved is spending huge amounts of money in an attempt to sue the locals for the industry problem. Amnesty International accuses Shell of false claims about its environmental impact in the Niger delta, saying that the oil company cannot be trusted and that there are "serious discrepancies" between the evidence of pollution and what Shell claims.